People who use humor at work are more productive, less stressed, and happier so it’s no surprise that using humor and having fun is an important part of a strong company culture. 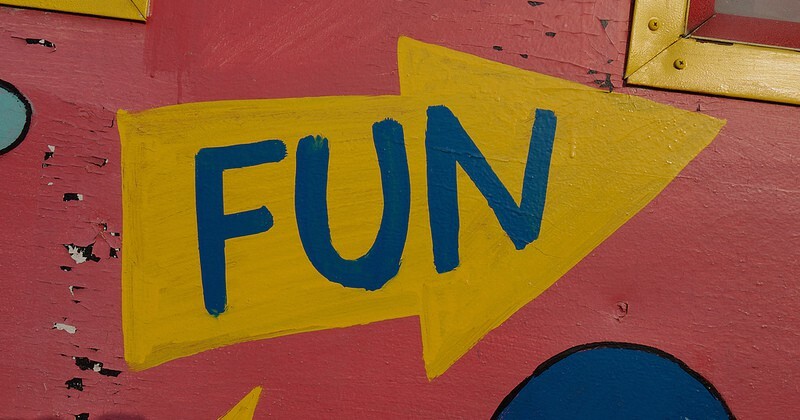 With that in mind, here are 12 companies who include fun as part of their core values, which means they not only want their employees to be more productive, but they also value employee workplace satisfaction and health. AES: #5 Have Fun Through Work. Work can be fun, fulfilling and exciting. We appreciate being part of a team that is making a difference and we will work to grow and strengthen our operations. AWeber: #4 Don’t Take Ourselves Too Seriously; Have Fun. Best Buy: #1 Have fun while being the best. Etsy: #4 We believe fun should be part of everything we do. Jet Blue: #4 Fun translates to a friendly work environment where people like to be – when we enjoy our jobs, our customers enjoy the JetBlue experience. LinkedIn #6 Humor. Fulfilling our mission and vision requires an intense focus, so we believe it is important to not take ourselves too seriously and try to have some fun while doing it. Mercedes Benz: #3 Fun We will celebrate our successes. I come to work through choice not necessity. We will act in a way that is appropriate to the environment. I will choose my attitude. I will be genuinely friendly and up-beat. The Motley Fool: #3 Fun: Revel in your work. Workday: #5 Fun. We work hard and play hard, investing in community and company events that help our employees and their families feel a connection to Workday beyond business as usual. Here’s another one for your list: Chuy’s (Tex-Mex restaurants). Rule #3: HAVE FUN!